Situated in a new cultural industries business zone, High House Production Park, the centre is a unique 3,100sqm state of the art, purpose built training facility for the complete range of technical and backstage skills associated with the theatre and live music industries. The building, which was completed in early 2012, will accommodate industry specific technical training courses and events delivered by both the further education and the private training sectors. Specification, procurement and delivery of FF&E. 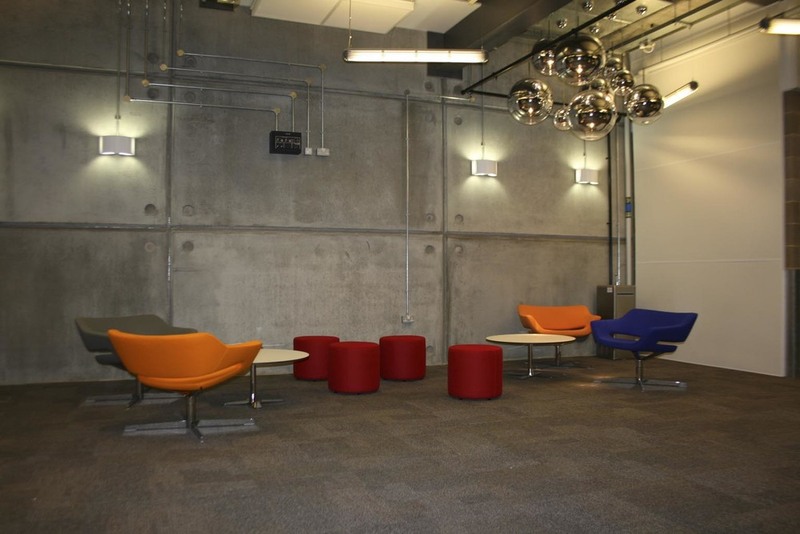 Areas include the rehearsal rooms, recording suites, offices, social lounges, cafes and lecture rooms.